North Korea’s top diplomat in Italy sought asylum from an unidentified Western country with his family, JoongAng ilbo reported Thursday. Jo Song-gil, the acting North Korean ambassador to Rome, is currently under protection of Italian authorities upon his request, the newspaper reported, citing an unnamed diplomatic source. Jo was appointed as the acting ambassador after Italy expelled then Ambassador Mun Jong-nam in October 2017 in protest of a nuclear test by the North in violation of UN resolutions. The North Korean embassy in Italy, which opened in July 2000, consisted of a team of four people: Jo and another diplomat handling political affairs, plus two officials dealing with the Food and Agriculture Organization of the UN. Jo is believed to be a son or son-in-law of one of the highest-level officials in the North Korean regime, the daily said, citing an unnamed North Korea expert. It didn’t look like North Korea was going to send an ambassador to Italy anytime soon, Yonhap News Agency said, citing officials at the South Korean Embassy in Italy. Thae Yong-ho was the last senior North Korean diplomat to defect, leaving his post as deputy ambassador in London in 2016. Thae said he sought asylum to give his children a better future after the North ordered him to return. Despite thawing inter-Korean relations at the state level, the South Korean Embassy in Italy has had no official contact with North Koreans over the past few years. 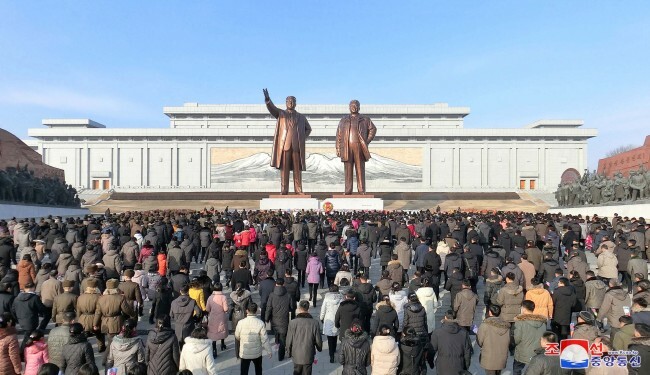 Even when they came across each other at international organizations such as the FAO, the North Koreans appeared to avoid South Koreans, they told Yonhap. The South Korean government, including the presidential office, said it cannot confirm whether Jo has sought asylum.